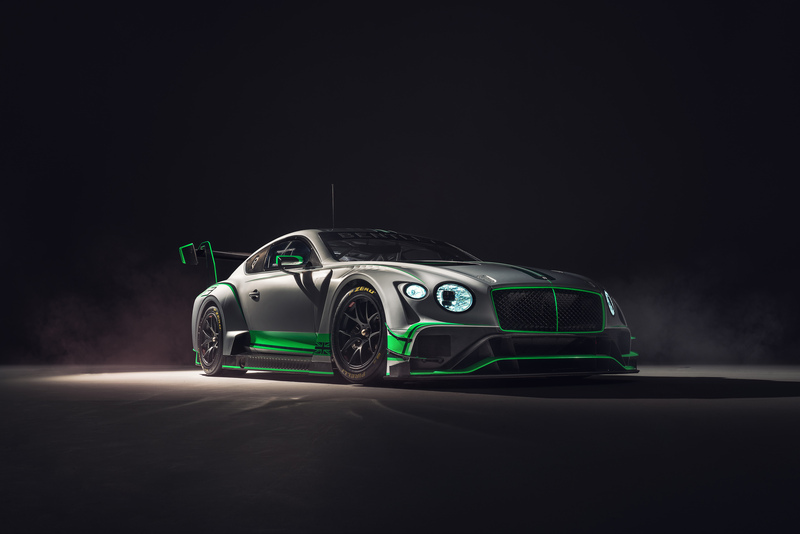 Bentley Motorsport is unveiling an all-new Continental GT3 racecar, currently in development for the 2018 motorsport season. The second-generation Continental GT3 is the latest dedicated racecar in an acclaimed Bentley motorsport lineage that includes the 4½ Litre, Speed Six and Speed 8 Le Mans winners. The first-generation Continental GT3 has proven to be a championship-winning endurance racer, scoring 120 podiums and 45 wins across 528 races around the world to date. Development of the new car has been led by the engineers of Bentley Motorsport’s in-house team based in Crewe, together with designers and technicians at Bentley’s motorsport technical partner, M-Sport. The new Continental GT3 has been designed from the all-new Continental GT road car, utilising it’s mostly aluminium structure as the foundation to deliver a race-ready weight of significantly less than 1300 kg and helping to deliver an ideal weight distribution for racing. Bentley Motorsport is also announcing its plans for the 2018 season, after 2017 proved to be the most successful season for the team, capturing the Blancpain GT Series Endurance Cup. Bentley Motorsport will run a pair of new Continental GT3 racers across Europe in the Blancpain GT Series Endurance Cup again next year, and also compete around the world in the four-round Intercontinental GT Challenge. The new Continental GT3 will make its race debut at the opening round of the 2018 Blancpain GT Series Endurance Cup at Monza. Updates from the development programme of the new racer, and confirmation of the 2018 driver line-up, will be issued by Bentley Motorsport in due course.